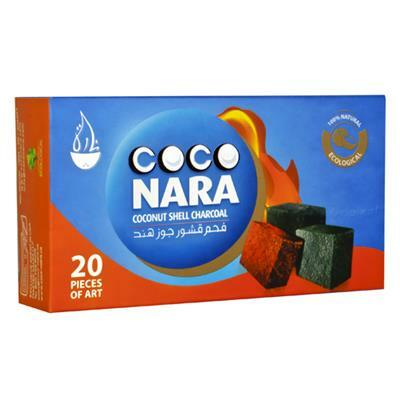 Coconara is 100% natural hookah charcoal and is made from compressed coconut shell. 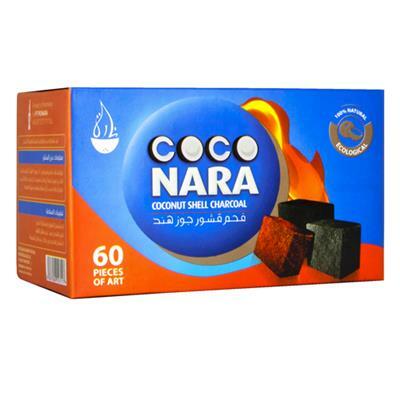 Eco-friendly, tasteless and burns for up to 60 minutes. 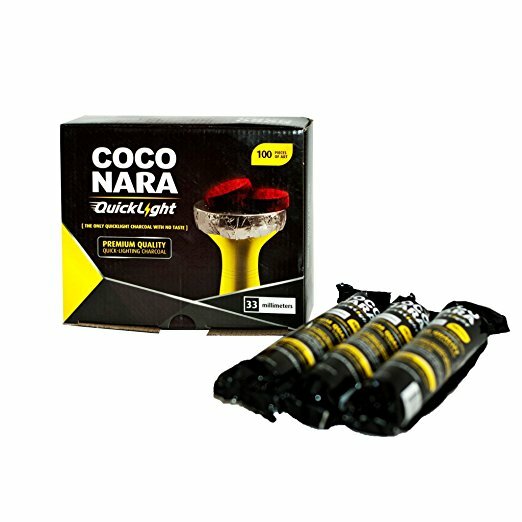 You can light these coals on a stovetop or an electric coil burner. It takes around 5-8 minutes to completely light and glow red. 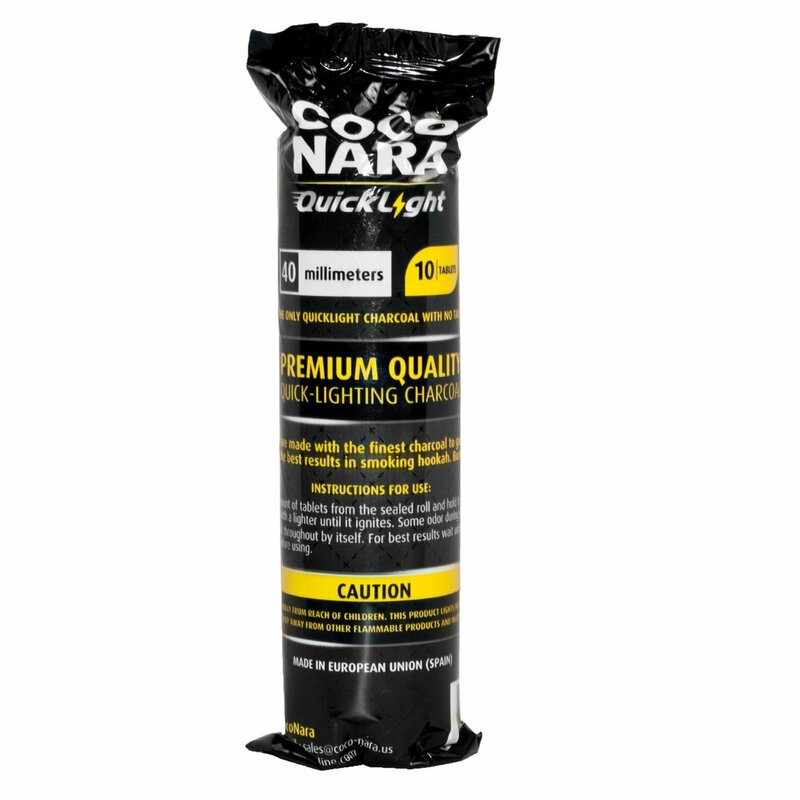 Coconara has been ranked as the number one natural coals of choice for many hookah lovers.